I remember my aunt distributing Sri Satyanarayana Prasad (offering) on washed and dried Canna leaves to family and friends after the pooja. There were many of these plants lined near the manmade water ways leading to many parts of her farm. 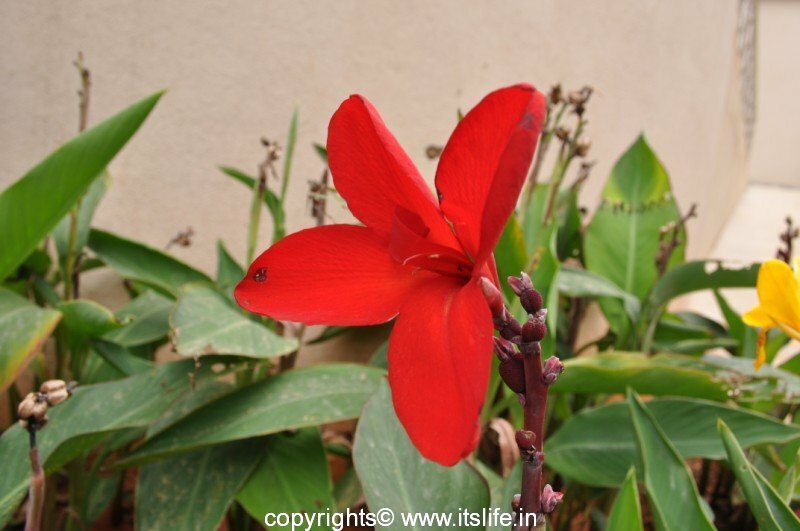 Common names are Indian Shot, Wild Canna, Kabali or Kalahu in Kannada, Keli in Hindi. 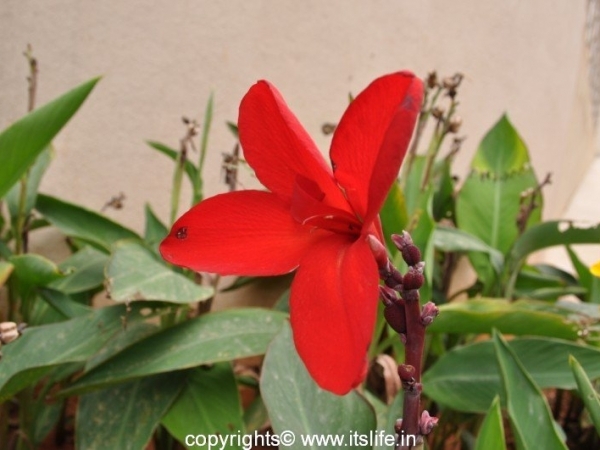 Botanical name is Canna spp. and belongs to Cannaceae family. They are native of South America. 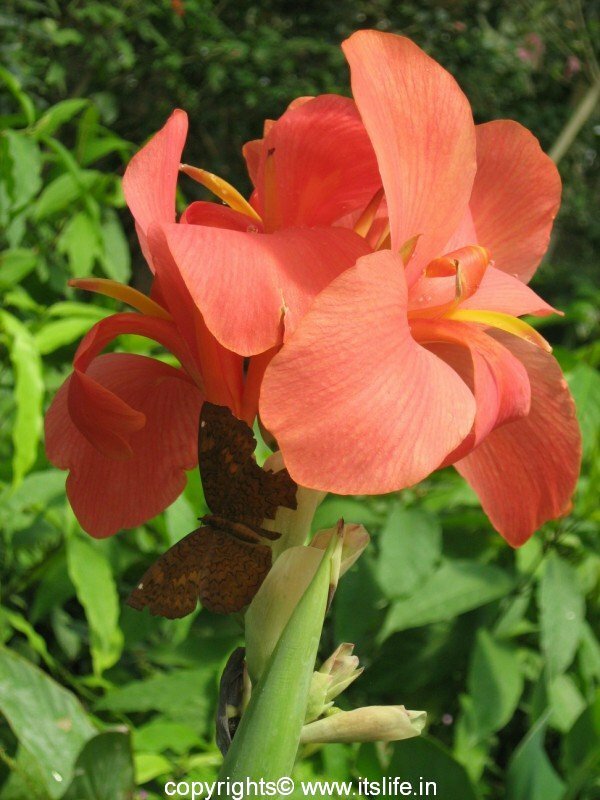 Every garden is sure to have Canna as the plants produce bright big flowers adding color to the landscape. There are 19 species of Canna. The plants are large tropical and subtropical perennial herbs and can grow 2 to 3 meters in height. The root is a rhizome. Green large attractive leaves are broad, flat, alternate and grow out of the stem in a long, narrow roll, and then unfurl. The flowers are big and comprises of three sepals and three petals. The petals are small and are hidden by the stamens. Flowers bloom in red, orange, yellow, double, on spikes. 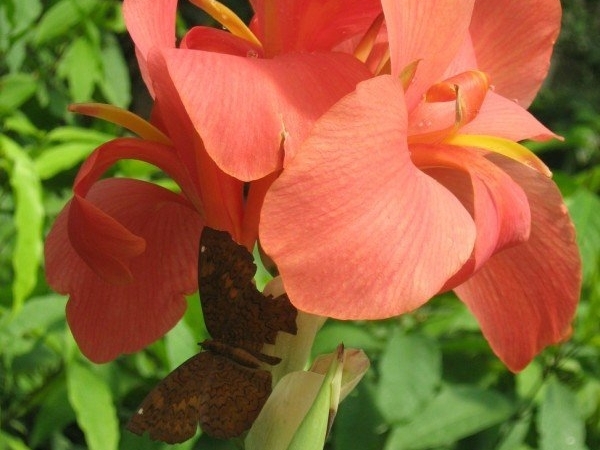 Canna is pollinated by bees, hummingbirds, sunbirds, and bats. The seeds are black, hard, and spherical. The seeds of Canna are used for jewelry and musical instruments. As the rhizomes are rich in starch content it is consumed by humans and livestock. The leaves are fodder for animals and fibers from them are used to make paper. Fiber from the stem is used as a jute substitute. 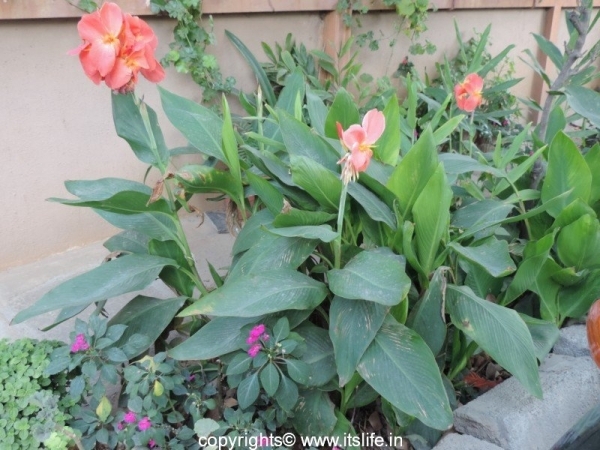 Canna can be easily grown in garden beds and in pots. It is propagated by seeds or rhizome division. Plant in full sun and well-drained soil. Water daily. Feed the plants with a fertilizer once in a month and spray an organic pesticide to keep away slug, snails, red spider mites, and beetles. I want Cana bulbs. How canu I order? Most of the nurseries stock these bulbs.